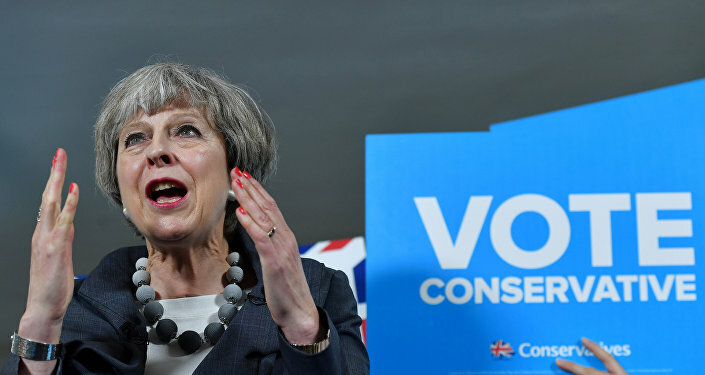 Iain Begg, research fellow at the London School of Economics' European Institute said in an interview with Sputnik that he expects Theresa May will be forced to resign, if Tories fall short of getting the majority in the parliament. 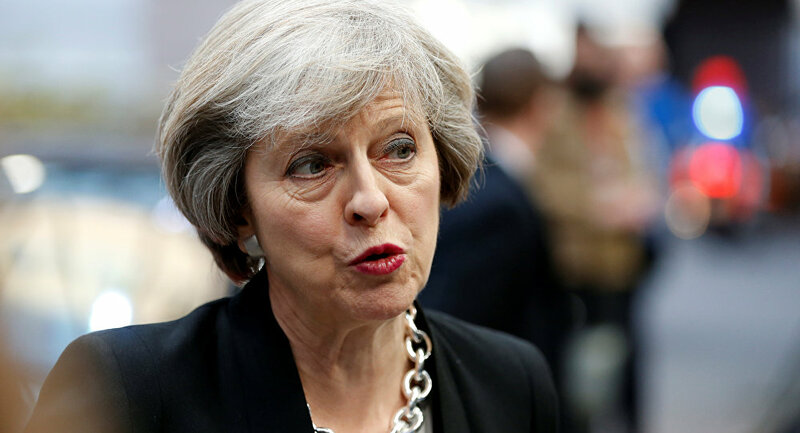 LONDON (Sputnik) — The Conservatives will not forgive Prime Minister Theresa May losing the majority in the parliament and might force her to resign, Iain Begg, research fellow at the London School of Economics' European Institute, told Sputnik. An early exit poll projects the Conservative party to get just 314 seats in the House of Commons, which means losing the overall majority that it has so far enjoyed with 330 seats. "This means Theresa May made a huge bet and lost it badly….Theresa May will be forced to resign. She made such a big bet and lost that her party will put a knife in her back. The Conservative party is very ruthless," Begg said. "Next leader can be Boris Johnson or David Davis… If you ask me to make a projection, I would probably say David Davis," he added. Begg also noted that the exit poll projection was a bad sign for the Scottish National Party. "Also it's a surprise for the SNP party. They did quiet badly if we believe these projections. It's very bad result for them, because they've lost 30 percent of their seats, according to the projections," Begg said. The pro-independence Scottish National Party is forecast to lose 22 seats in the House of Commons to stand at 34.